Everyone has a dream girl in their mind. Men would not easily accept that they have a weakness for slim, fair and good looking girls. But whether we accept it or not, truth can not be altered. How ever exceptional cases do exist. When Prince William laid his eyes on Kate Middleton in the year 2011, they fell in love. Their love life went from strength to strength; but all of a sudden Kate decided to call it quits. they broke up in the year 2007. But after a few months of spending time away from each other, they realized that they could not live away from each other. They started dating again and now they are husband and wife. Their wedding was one of the most expensive weddings in recent times. 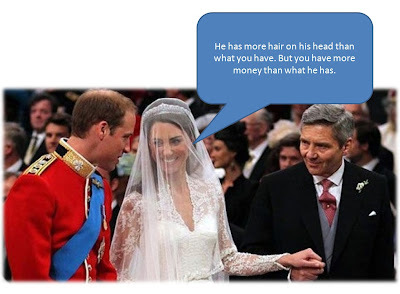 The cost of the wedding came to around $35 million. Hold a second! 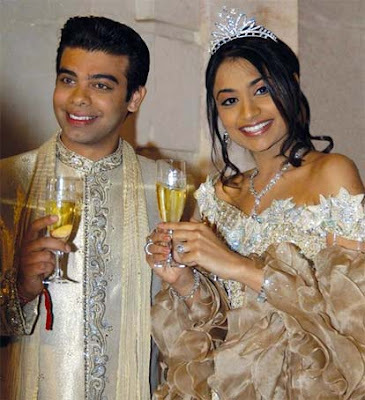 Indian Steel Tycoon Lakshmi Mittal's daughter's wedding is the most expensive wedding in the history of mankind. Her wedding expenses came to $60million dollars. The only difference between the two weddings is that one person used his own money for her daughter's wedding and the other used the country's money. Are you guys waiting for a Kate or a Vanisha for your life? Both these girls are one of the most well dressed women of the modern day. 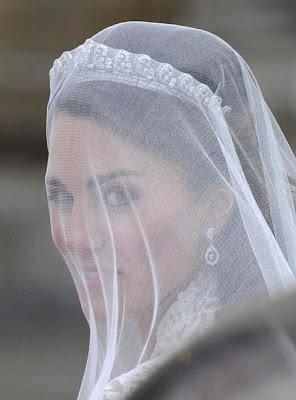 I was searching the net for some pictures of Kate, for this post. The related searches gave me the hint that many peeping Toms and Cats are loitering in the web world. A question for all the men who read this post. Please answer the question truthfully in the comments section. You can answer anonymously too.Women can also reply based on their experiences with men. You can select multiple answers also. I am collecting the answers for a study. Now please answer the question in the comments section. erm.. my guy says its never been about looks EVER..lets say i would love to believe him..
but i hav a feeling..most men look at the "outer attributes"...below neck and above thighs..
BTW, in 2nd paragraph, "When Prince William laid his eyes on Kate Middleton in the year 2011...." It's 2001. 12. The way she smiles..!